Botanical gardens like you’ve never seen before. The Eden project had been in the back of my head for quite some time. Something about it kept luring me in. It all seemed so magical. In June I finally got to attend. The gardens of eden are definitely not something you think you’d find in England..in an old rock quarry. It all started in 1995. Tim Smit, who also restored the Lost Garden of Heligans, found his location for where he would begin his new project. 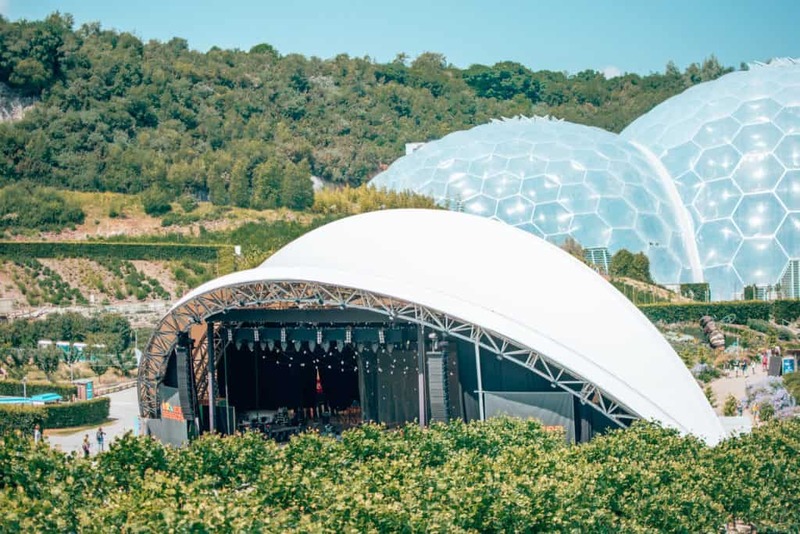 In 2001, after years of planning and planting and growing, The Eden Project finally opened it’s doors. During the first 4 months over a million people managed to visit. There are two massive biomes which hold most of the plants people come to see. There is the rainforest biome which is home to the largest indoor rainforest in the world as well as the Mediterranean Biome. As soon as you enter the rainforest biome, you can definitely feel the heat! Make your way between lush greenery, waterfalls and sky canopies. The rainforest biome is pretty incredible. It is home to many interested plants from all over the plant including the Titan Arum or Amorphophallus titanum. It’s a flowering plant with the largest unbranched inflorescence in the world. This is where we spent most of our time. Allow at least 2 hours to get through it all. You will be amazed at everything they have in there. The Mediterranean biome is slighter smaller, much brighter and not humid. Lovely sunflowers, wine grape vines and cacti are a few things you’ll see. They also have a really cool restaurant in here called the Med Terrace. I was very impressed with the food offerings in general(various world influences) but the Med Terrace was fantastic. 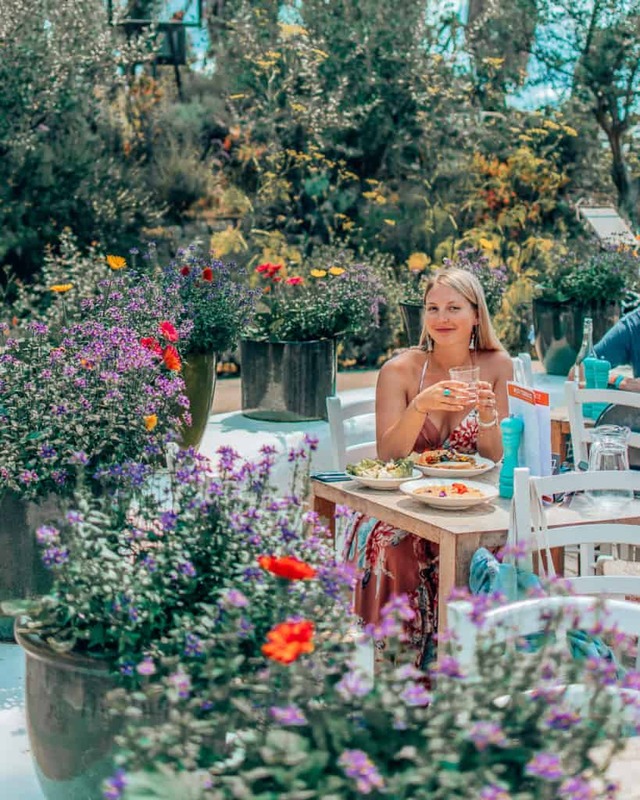 Set in the Mediterranean Biome and surrounded by gorgeous flowers the food offerings are simple and fresh. 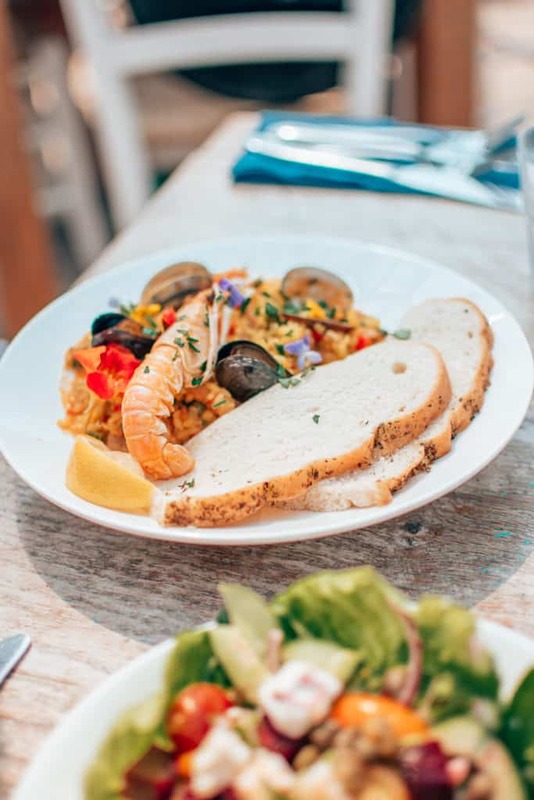 I had the authentic Spanish paella(£12.o95), Cornish crab risotto(£11.95) and beetroot salad(£4.75) which were all seriously tasty dishes and that I thought to be excellent value. **tip: You can book for dinner, but not for lunch. I not only got to explore The Eden Project in the day, but I also got to see Nick Mulvey and Jack Johnson at their outdoor stage in the evening. Quite the unique music venue!! It was definitely very family oriented, but obviously we went to see laid back performers. Be aware that in order to buy drinks here you have to first buy drinks tokens. I would buy all the tokens you think you will need because later on there ended up being a queue at the token hut, while the bar was pretty empty. I did note that the drink options were pretty basic, although there was one cocktail bar as well which I think you had to pay for normally and not with a token. **Tip: If you buy a ticket to a gig that also gets you into the gardens that night as well as the next day. YHA- This is the only on site accommodation. It’s a recycled shipping container with dorms, private rooms and in the summer months bell tents or camping pitches. Eden backpackers– a cheap and cheerful hostel in walking distance to the Eden Project. Lou’s garden– This is where my husband and I ended up staying. We left booking our accommodation until very late when everywhere was booked. The Caravan is Lou’s garden ended uo being the perfect spot for us and was walking distance to the gates. These options are the affordable and closer ones. 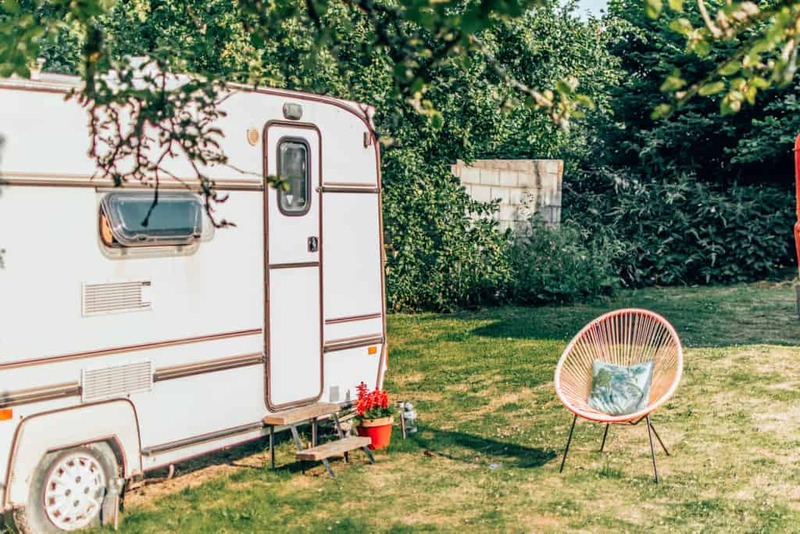 There are not masses of hotels nearby but there are quite a few Airbnbs, campsites and guesthouses. 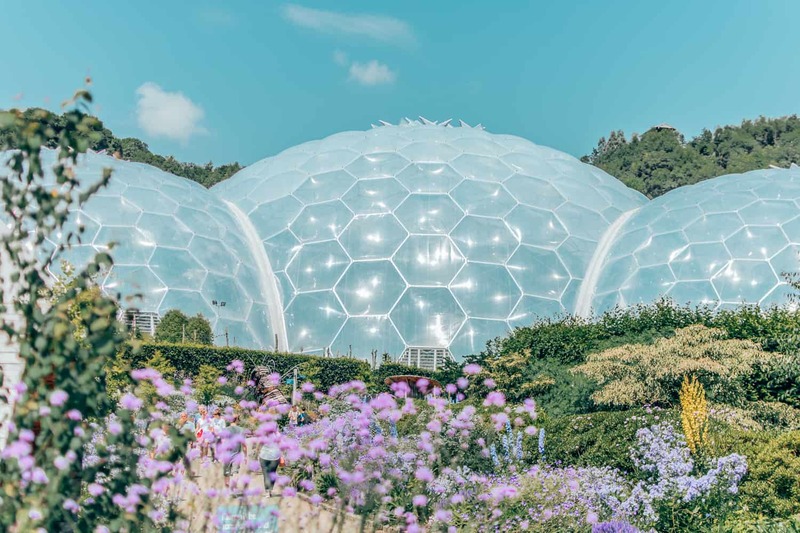 If you’re heading to Eden Project in the summer or for an event make sure you book accommodation in advance. 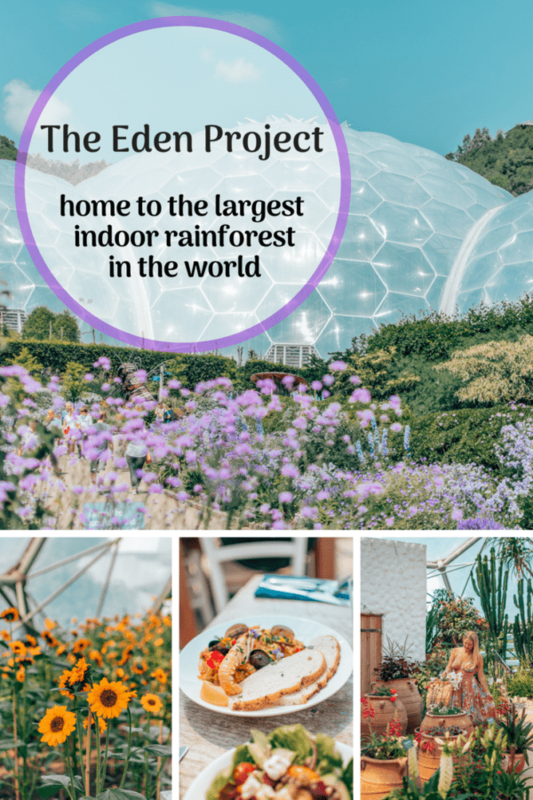 The Eden Project is not the type of place that you just go once and you’ve seen it. There are always new exhibitions going on. As an extra activity, if you fancy a bit of an adrenaline rush you can try out their Sky wire: England’s longest zip wire! **You need the entire day to fully explore The Eden Project.